We’re constantly fascinated by the variety of places, settings and musical styles in which we find Live, Push and other music technologies being put to interesting use. With the ‘Sounds In Context’ series of articles, we aim to learn about the specific local contexts and histories that music-makers around the world emerge from and are engaged with. 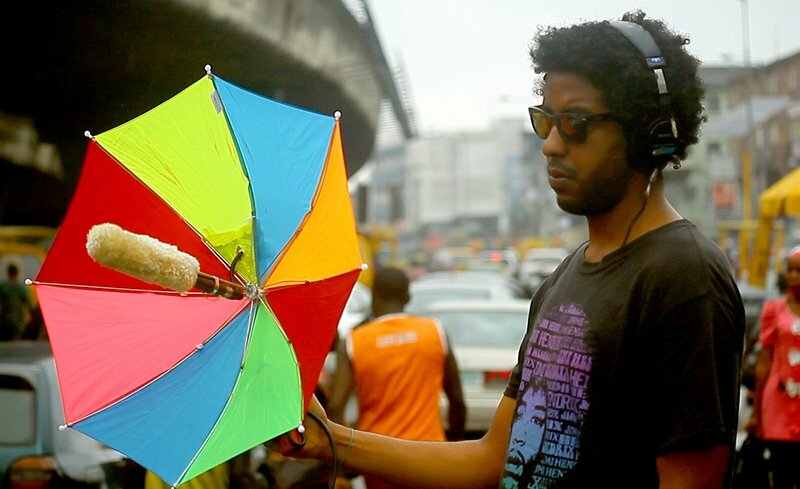 Mikael Seifu is a unique voice in electronic music. Born and raised in Addis Ababa, the capital city of Ethiopia, Seifu began to experiment with producing beats in his teenage years, heavily inspired by commercial American hip-hop. After graduating high school a few years later, Seifu landed in the United States (in New Jersey, to be precise), where he was to attend college and study music and production, with the goal of eventually pursuing a career in the American music industry. However, during his time there Seifu became disillusioned with what he has called the "fierceness of the American machine," and after his third year, decided to return to his hometown in order to recalibrate his musical efforts. Since returning to Addis, Seifu has steadily looked to his roots as he's forged a sound all his own, mainly releasing his immersive, hypnotic productions via Washington DC-based label 1432 R. Rich with texture and often driven by interlocking layers of both chugging and intricate percussion, Seifu's tracks are now much more indebted to the lineage of UK beatmaking (particularly artists like Burial and Four Tet) than they are to the commercial hip-hop sounds of his youth. Still, what is most notable in Seifu's current work is the unmistakable presence of the scales, rhythms, and instruments of his homeland. An East African country, home to many different cultures (it is said that over 80 individual languages are spoken there), Ethiopia's diverse musical tradition includes an incalculable array of folk and tribal music forms, as well as the well-documented Ethio-jazz movement of the 1960's and '70s. It is from this immense musical tradition that Seifu draws much of his inspiration. Whether sampling pieces of Ethiopia's musical past, or using its uncommon scales and time signatures to lead his electronic compositions into uncharted territory, Seifu sees his music as a continuation of that tradition – using modern production technology and electronic music as a means to continue the ongoing evolution of Ethiopian music. 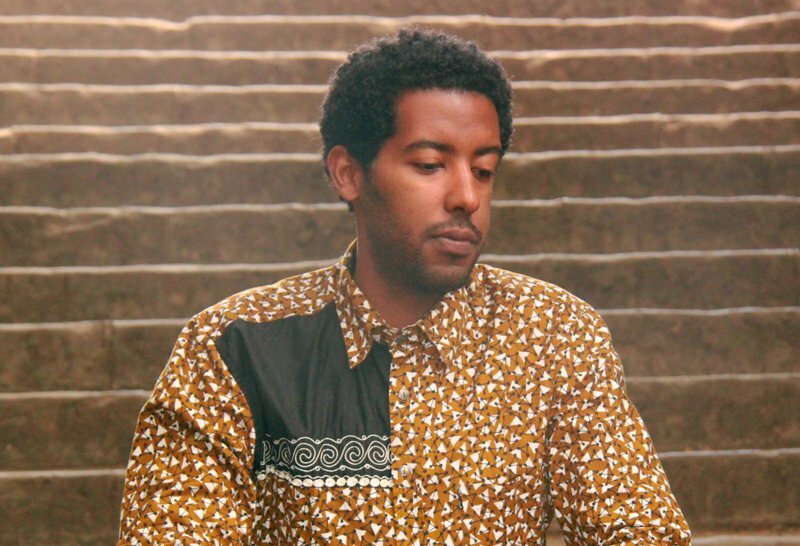 With Seifu's profile on the rise and a new record set to arrive via RVNG Intl., we tracked down the producer at his home in Addis to gain some insight into his creative process and see where he thinks his brand of electronic productions might fit among his country's rich musical heritage. What is your musical background? Did you grow up playing any instruments? When I was a kid, my mom used to have us take piano lessons and whatnot. It was dreadful. It was too much. [laughs] But that's where it kind of started for me, and from there I progressed to making music on a computer. When did you make the jump to electronic production? I started doing that about two years into high school. It started off with hip-hop, actually. I was listening to a lot of hip-hop and then I thought I would try to make some of that. Then I started incorporating Ethiopian stuff in with the hip-hop, and it developed from there. This was over a decade ago, so I was using just a computer and FL Studio. When did you start getting more serious about production. You moved to the US to study recording and production initially? I moved to the US to go to college, and in the beginning, I was all over the place, but it was in my sophomore year that I declared music as my major. I never got to finish that because I dropped out at some point, but I was taking production classes, recording classes, music business and industry classes, and whatnot. Back then I was using Logic, but I got into Ableton about four or five years ago, once I got back to Addis. Since returning to Addis, your focus as an artist has been to use electronic music as a tool to further explore the Ethiopian music tradition. How do you imprint Ethiopian scales and musical ideas into your productions? Do you record yourself or other musicians, use samples? It's a multi-faceted approach, and it changes from project to project. I usually try to develop an idea in a specific Ethiopian scale, and work out a melody, and then base the rest [of the track] off of that. Or, I will start off with a sample and then continue building on top of that. Sometimes, I just end up playing some stuff and then record that, and build from there. A few times I've had other people play too. There's no clear cut way, really. When you say you'll record yourself, what you are playing? Do you play both acoustic instruments as well as synthesizers? Yeah, guitar, synthesizers, my own vocals, those sorts of things. When you are working with Ethiopian scales, do you usually begin with an acoustic instrument, or are you able to start inside the box? I'm actually more based inside the box. I normally play the stuff in there and then try to get the warmth from other instruments and samples. There's a constant flow between what's happening inside the box and what's coming from external instruments. One thing that is unique about your productions is the types of rhythms you build. How do you go about constructing the rhythms in your tracks? For the drums, that's the one bit that has been fairly constant in my workflow. I normally just construct a kit using Drum Racks, and then program the patterns from there and see how that goes. Once I have a foundation with those drums, I then layer samples from either Ethiopian recordings, or try to use some processing on the programming [to create some movement]. Some bits of the patterns I will try to play live too, just to give it a bit of groove. So that there is something that veers off the grid? Yeah, sometimes the grid can be a bit too rigid. "For now, to some extent, my music might be considered "experimental," but in the context of the local situation, I think what I make is a very natural progression." How do you arrive at the patterns you end up using? Do you have an idea in mind that you are trying to create, whether from the electronic or Ethiopian sphere? Are you aiming to find ways to fuse the two worlds together in some sense? I think that's exactly it. For the most part, there is a question of time signatures. I like to mess with the time signature settings in a clip. So, let's say I have a particular clip running in 3/4, and then have some other clips in 4/4 common time. By superimposing those on top of each other, you get some polyrhythms, and that's where things can get really interesting. Is there a particular aim you have when you are doing this layering of patterns with different time signatures, or are you more experimenting until something sticks together? It's weird because, when you have a time signature that deviates from 4/4, then there is a kind of automatic groove situation that happens. Even if I just put a sample on top of it, because it is in its own different time signature, there is instantly something going on there. Then I can chip away at the sample and keep resampling to get another kind of groove, without losing the original feeling. There is definitely some messing around, but there are also some Ethiopian [rhythmic templates] that I have in mind as I work. What role does Push play in your productions? I use Push a lot in the initial phase of the creation process. I'll usually have a few different clips running and experiment with that. Sometimes I'll turn off the global quantization, and use Push to mess with the clips and play with how they go around, basically just use it as a jamming tool. At the same time, I use Push to record all different types of automation as well, so it is also a big part of the mixing process. What sort of mixing techniques have you developed over the years? For me, it's important to be mixing all throughout the process, just to get the feeling right so that you can progress while making the track. After the arrangement and musical portion of the track is done, that's when I will work on technical issues and focus on some really minute details. For the most part though, mixing goes on throughout the production process, and if there were any kind of "mistakes" done during the creation process, I take care of those and make sure the spectrum is balanced during the final stages of mixing. How do you approach arrangement? Often your tracks don't have a traditional structure, but seem to weave around as they please. Do you have blueprint in mind when it comes to arranging your songs? This is the question that I've been asking myself for the past few months. I mean, what is arrangement nowadays? If you take the Western electronic stuff that is happening, there is definitely a context for arrangement that is directly tied to club culture, whether it's mainstream, underground or whatever. I think one can see and understand how a track is progressing and in what direction it is supposed to be moving towards within that club context. For me, after a certain while, I totally let go of that approach to arranging because, personally, there is just no club context for me. The club culture here is weird, and there is no electronic scene really to speak of, especially for the kind of music I'm doing. These days, I'm actually literally sitting down and beginning to study the local musical arrangements, and there is a certain minimalism to arrangement here in Ethiopia. I think you can hear that, especially in a track like "Tuff Ruff," that doesn't really have a discernable arrangement, but more just floats around in this trance-inducing zone. For "Tuff Ruff," the arrangement was totally driven by the vocals. And so those vocals are a sample then? Yeah, that's a sample. It's such a common thing to have vocalists like that in Ethiopia, and there is such an abundance of them. That one was just an example of that abundance. How do you view the music you make? Do you see it as a contemporary evolution of the Ethiopian musical tradition, a global amalgamation of influences? For now, to some extent, my music might be considered "experimental," but in the context of the local situation, I think what I make is a very natural progression. If you look at what else is happening around the world, it's as if the playing field is a bit more democratized – nowadays, genres are becoming less and less relevant. To me, it seems like the artist is the genre, and [because of that,] the artist can then become decontextualized from wherever he or she is physically. Electronic music is experimental in its nature. That was the basis of it, that's the foundation of it. And perhaps that's how I view electronic music. When I listen to an artist, I really wouldn't want to simply think about them in the context of where they are coming from, physically. If you think about it, it's kind of tiring – if you are always trying to identify elements of a scene, it can become daunting to just listen to the music. I let the artist pave the way for him or herself, and just let go of the whole boxing and categorization of what they are making. Fair point, but if someone was interested in learning about music that was specifically Ethiopian what would you show them? For the most part, the different musics of Ethiopia have not been documented correctly. There's no balance in the representations of the different types of music throughout the country. For myself, I know for sure that I haven't even tapped into 30% of the different types of music in the country. That's my disclaimer. Even if the listeners wanted to backtrack the artists that I am going to show them, at some point a disconnect will come for sure, a point will come where they can't keep tracing back to the roots of that music. "Tradition in and of itself can have innovative qualities of its own, when it comes to exploring new territory or reclaiming lost traditions." These artists are for the most part contemporary, though each from different schools of Ethiopian music. Describing Ethiopian music to a Western audience is difficult, especially since the advent of the recording industry and digital keyboards and workstations. All of these tools are built upon Western musical theory and Western tuning scales, so there will be a loss of information as a result of that. The twist is that jazz kind of happened in its own way in Ethiopia, and the mixing of Ethiopian scales and sounds happened within the framework of jazz. But the traditional Ethiopian musics have their own vision of what new territory is within the traditional context and that's what is interesting to me because it's not about trying to take a foreign idea and infuse it with locality to try to yield innovation. Tradition in and of itself can have innovative qualities of its own, when it comes to exploring new territory or reclaiming lost traditions. They are contemporary traditional. One of the co-founders has a little spot here in town [Addis Ababa], and when the group is here and is not gigging, they will have a show that tries to run through the whole gamut of these different folk music. This is a good entry point to Ethiopian music because the instrumentation is all traditional and the vocals are in different languages, Ethiopia has more than 70 languages. Dub Colossus is not totally a local group. They pushed the envelope in terms of production, exploring other modern genres around the world with Ethiopian jazz as the base. It’s such a mix that at some point the lines become very blurred, so it's very interesting in that sense. One of the most popular types of music that emerged locally is Ethiojazz, and Mulatu Astatke is the father and foundation for Ethiojazz. This is actually an Ethiojazz kind of band that do very interesting takes on Ethiopian standards. They reinterpret and take them to places they haven't been before. One summer, about three years ago, I worked Front of House at their club, and they are just brilliant musicians that are in their own league. Gash Abera Molla kind of reappropriated Ethiopian folk music. He pushed the styles into his own territory, and he exists very much apart from the traditional folk musicians of Addis and the country. He does a lot of interesting stuff with vocals also.